KISSsys is a system add-on to KISSsoft, where complete transmissions and drive trains can be modeled (SYS module). 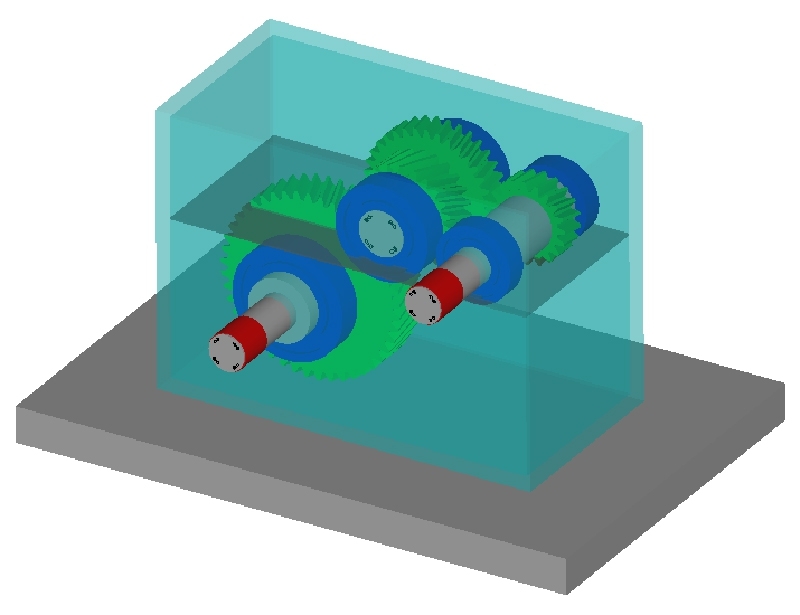 The gearbox package GPK calculation, which is based on KISSsys, provides the user with 17 basic models of gearboxes as templates (GPK module). With the "Efficiency Template", available for KISSsys, the efficiency calculation and thermal analysis in accordance with ISO/TR 14179 are carried out for all types of transmissions and drive trains. In addition, the template now includes a large number of new functionalities, which meet the requirements of the industry. With the integrated programming language in KISSsys, own modifications of the calculation code can be made. Improvements of the gear design and the required cooler power are therefore much more purposefully and easily definable by the user. If you are interested in a trial version or in a detailed manual, just contact us – or visit our booth K09 at the CTI Automotive Transmission Symposium in Berlin from the 8th until 11th of December 2014.